It didn’t do so well, even though it was mild on the whole. 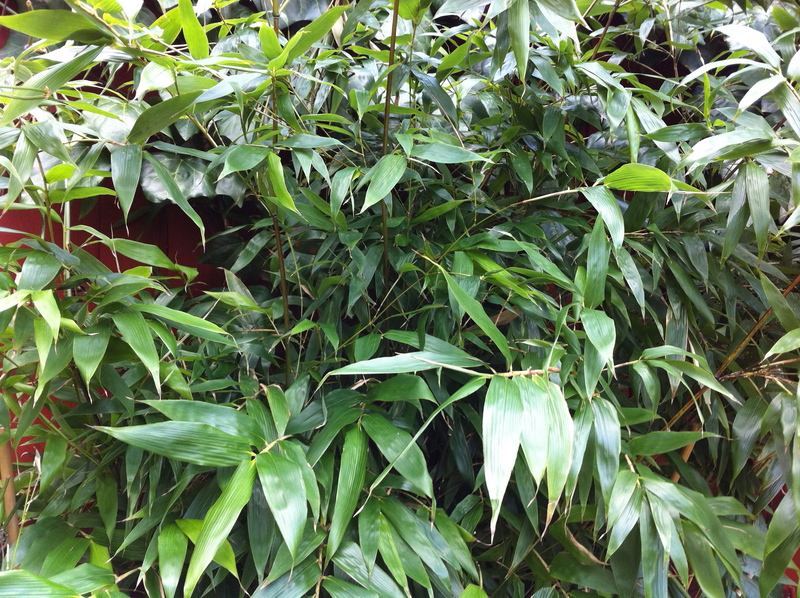 It seems that Blue Bamboo is not very hardy at all and this is the second time this bamboo has gone herbaceous, as the dead sticks are all last year’s growth; it looked like this at the end of last winter. 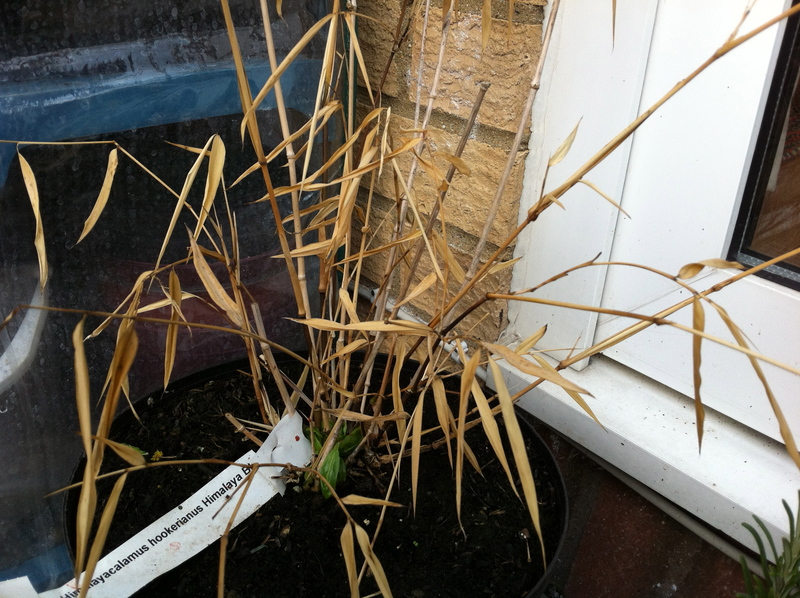 As the weather warms up, it might come back and regrow from the base, again (as grasses tend to) but it’s a little annoying as it has to join the ever increasing list of plants that need to come inside for the winter (and we have two of these).